Our Cake Lollies are Cake mixed with a little bit of icing formed into a ball and dipped in Chocolate. They are that good! How long can I keep the Cake Pops before they expire? Cake Pops can be left at normal room temperature for 7-10 days. They last up to 2 weeks in a air tight container. Because the outside is Chocolate they don't do well in humidity. Can I freeze the Cake Pops? I have never put them in the freezer, so I had to google this answer. According to responses from Google.ca you can freeze them as long as you put them in the fridge to defrost. By putting them at room temperature to defrost you run the risk of cracking or the chocolate sweating. Because Cake Pops are freshly made for each individual order we require an minimum of 48 hours for each order, however it is better to give as much notice as possible. I just bought a voucher off WagJag.com when can I use it? Because we have been on Wagjag several times each has different expiry date. You can place an order by clicking the order form here, by placing the order there we can make sure the offer is as accurate as possible. I would like to have Cake Pops as a favor at my wedding do you offer special pricing for bigger orders? Yes we do. 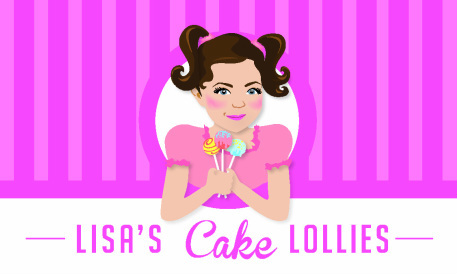 Please contact us by email: Info@LisasCakeLollies.com or by going to the contact form here We also offer a Free No Obligation Sampling Consultation. Do I have to pay to have them individually wrapped? Are they completely Peanut Free? The cake Lollies themselves can be made Peanut Free however we do have Peanuts and Peanut Butter in our home.